Chief Marketing Officer of TouchCommerce - an enterprise end to end omni-channel online engagement platform. George has over 25 years of progressive experience in the IT industry. 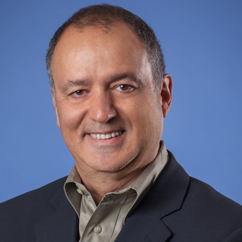 Prior to joining TouchCommerce, George was a principal at MARKETify, and previously held senior marketing positions at SGI (Silicon Graphics Int'l), Wyse Technology (now Dell|Wyse), NEC Computers and Logitech. What exactly is the Omni-channel experience? Does Omni-channel apply to pure play online retailers? If you are curious to know how not only high street retailers but also pure play e-tailers can adopt an Omni-channel mindset towards driving a unified experience to their customers, listen in! TouchCommerce offers retailers a tailored end-to-end omni-channel solution to engage with customers both online and offline whilst delivering a unified and personalised experience. With over 25 years of experience within the IT industry, George Skaff, Chief Marketing Officer of TouchCommerce, gives an in-depth insight into what omni-channel marketing is and its role in increasing conversions and customer engagement. George explains how online customer interaction can be replicated offline and how physical stores can leverage “showrooming” to their benefit. Showrooming and webrooming, which is the reverse of showrooming, are facts of life. Retailers need to embrace showrooming and leverage it to their benefit. SMS is a great method to deploy great omni-channel solutions. We have 40-50 parameters that are triggered via different sets to start the engagement process with the consumer.We have 40-50 parameters that are triggered via different sets to start the engagement process with the consumer. We care about customer engagement it’s really what we focus on. The results don’t always have to be about Dollar value. The results can be in satisfaction rating. The consumer is not thinking about what specific channels they’re engaging with at any given time. With mobile devices, you have a small screen and a shorter attention span, so you have to be really succinct and clear in your messages. Kunle:	What exactly is the Omni-channel experience? Does Omni-channel apply to pure play online retailers? If you are curious to know how not only high street retailers but also pure play e-tailers can adopt an Omni-channel mindset towards driving a unified experience to their customers, listen in! Hi 2Xers, welcome to the 2X ecommerce podcast show. I’m your host, Kunle Campbell and, as usual, this is the podcast where I interview ecommerce entrepreneurs and online marketing experts who help you, my fellow 2xers, double specific ecommerce metrics, provide insight into how better to improve your marketing in your stores. If you’re looking to improve conversions, average order value, repeat customers, traffic, and ultimately sales, you are in the right place. On today’s show, I have with me the Chief Marketing Officer of TouchCommerce. TouchCommerce is an enterprise end-to-end omni-channel online engagement platform. He’s going to talk to us more about it, that boast of clients such as Comcast, T-Mobile, Virgin Media and others. They do retail. They actually have retail solutions, so it’s going to be relevant. This show is particularly relevant if you have a physical store and you’re trying to find out more about omni-channel marketing in general, so I’ve put together a list of questions for the gentleman you’re about to listen and he’s got about 25 years’ experience in IT in general, and prior to joining TouchCommerce as a CMO, he was a principle at Marketify and he’s held senior marketing positions in Silicon Graphics, Wyse Technology, DELL, NEC Computers and Logitech, so he’s a man that knows what he’s saying from a marketing standpoint. Welcome to the show George. Could you take a minute or two to tell us more about yourself? George:	Thank you. Thanks for having me. I’m really excited to participate and certainly share my insight, our insight as a company from a TouchCommerce perspective. I view myself as a passionate marketer who strives for results. I think this is really interesting, because in our company, we really talk about results day-in, day-out. We share the results that we produce directly with our customers and we ask them to measure us by result, so it’s all about what we can produce and what we can do. It’s a really exciting field that we’re in and I’m really looking forward to this interview and answering all the questions you have, so go ahead. Kunle:	Sounds good. We’re going to talk a lot about omni-channel marketing in general. 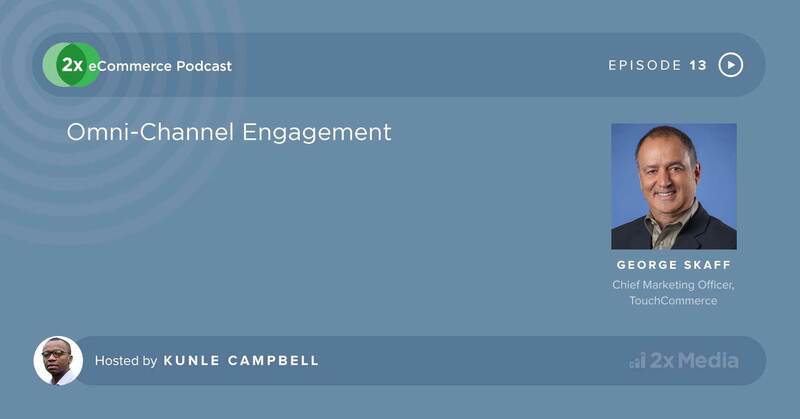 Over the years, a lot of our listeners have come across a lot of concepts such as cross channel, multi-channel and now omni-channel, so what I really want to get into is the omni-channel experience. If you could break down what omni-channel means, both from a retailer standpoint and also from a consumer standpoint. I hear a lot about interactions, touch points and stock visibility, it’s huge. I was at the IRX retail conference last week and every major brand was talking about the omni-channel experience in general. So please, George, I’ll give it to you to break this down for us. George:	That’s a great question actually, and the points in your question are the specific touch points and the customer journey, and they represent different aspects of what the omni-channel experience is all about. The journey may start, for example, by a consumer doing research online on a computer and continuing the research on their smartphone because they had to move location. They could be working from home in the morning and if they go to work, once they get to work, maybe they want to look up the information on a smartphone or a tablet all from a different location, and potentially be able to go to a store, like you mentioned for retailers, a physical store where they can see and touch the product, get some more information about it and/or engage in a conversation with a sales person and potentially a live chat agent. So the customer journey doesn’t stop there, it certainly continues post-purchase when the consumer may have some questions about the product installation, maintenance, etc. The idea here is that what you want to try and offer the consumer is sustainable and consistent messaging that you get back to them in regards to the product itself, the brand and having had a pleasant experience no matter when they touch your site, they touch your product, the communications you do with them, and this is what has been striving in the mind of the retailer, to be able to provide this pleasant customer experience via the variety of means that they have available to them. Kunle:	That’s very interesting. You’ve touched on so many things. One of the points you touched on was the location of the consumer, a question I had, and if you could confirm what I’ve taken out from there, is a consumer could be at home on various devices, they could be on tablets, on their computers, and all of a sudden they’re in their cars, their office and they switch devices to their mobile phones or even their desktops in the office and then they are in store, checking out the product, and they want that consistent experience all through. So what are the challenges for retailers to deliver this experience across the board, throughout their journey? Customers are really getting quite savvy, they know that the lower price is just a click away and getting in depth information from other sources also is just a click or a search away. So how retailers consolidating and delivering this unified experience so to speak, what challenges are they having? George:	They’re experimenting with it at this point. The number one challenge they have is their ability to know that this is the same consumer that was looking at their website with a desktop device, and now they’ve switched to mobile, and when they go to the store, how do they know who they are? We have ways via technology to determine and identify this consumer via little things that you do. This is really where we strive and excel in providing this full circle omni-channel experience. Brands and retailers today are still experimenting with this, and I would say in a formative stage of developing their omni-channel strategies. Brands like Apple for example, are getting close to that superior experience. You walk into an Apple store, you always have a good experience, whether you are looking on the site and you see how they connect you from the site to the store, so you can really make that appointment and know what you’re looking at. There’s this disconnect between when you walk into a store if they know what device you’re using and how you work on this. Other brands here in the US, large box retailers, whether they are in the electronics side like Best Buy or home improvements like Home Depot, they are starting to implement elements of the omni-channel journey. We certainly have discussions with many retailers in that regard, to help them complete that journey, because at the end of the day, what matters the most is the consumer walking out with a pleasant experience. I’m going back to the satisfactory consumer experience at the end of the day. Kunle:	You’re spot-on George, because I think Apple is a holy grail in ecommerce marketing. They’ve got it right because if you own a Mac and you own an Iphone, you not only get that unified ecosystem there, but say your Iphone breaks down and you take it into an Apple store, they pretty much find out who you are and they can connect and deliver the same experience more or less, they identify you, they know you and there’s a continuity, they have this ID for you. My question is, given the big challenge about how retailers consolidate or find out who the consumer is all through various touch points, where do you think they’re going to hinge onto? Are they going to hinge onto email addresses or do you think that they are going to hinge onto devices to be pinpoint accurate about the identity of anyone who walks into their store or who interacts with their website? George:	Again, it’s an interesting question. You have to have a compromise between having technology that can support that and not crossing the line where it borders on privacy or creepy that you follow the consumer, let’s be honest about that. So I think that the challenges with the technology today are that if you are on a desktop device and you are hitting a website, we know where you’re coming from, we know what you’re looking at and there’s some cookies and breadcrumbs, as we call them, left on the site, where we can pretty much determine what page you’re looking at and where you’ve come from etc, so we know more about you. The challenge becomes when you switch over to a mobile device or a smartphone or a tablet, then we use that connection unless we can identify you ahead of time as the consumer, and today, I think email is not the right one to do. There’s a variety of means, one of them could be a phone number. As a consumer, you could be entering your phone number as you are entering a chat on a desktop device and that becomes your unique identifier record. Then when you come back to your smartphone, we automatically know that phone number because you’ve just told us what it is and we will identify you via your caller ID on that smartphone and we can continue the conversation. At the end of the day, it really depends on how much you, as a consumer, want to continue the journey on your own versus starting a conversation. We’re not going to impose all of these questions on you, but if you want to have a pleasant experience, you want to be open to share some of the stuff with us so we can be more efficient in the answers that we give you. Kunle:	So are you saying, if I browse a mobile website on my phone, they would be able to figure out what my phone number is or would I have to call for them to be able to figure out my phone number? George:	No, we won’t be able to figure out your phone number unless you give it to us, or when you chat with an agent. As a matter of fact it’s interesting that you mentioned that, we do have currently a video on the front page of our website, it’s called “The full omni-channel experience”. I would encourage your listeners to check it out, and the idea that a consumer could start a shopping experience at home as they’re chatting with an agent, and they realise that they need to go to work and they want to continue that conversation later on, so the agent can ask for a phone number that will identify them. That doesn’t have to be a cell number, it can be any number they provide, and then when they resume that conversation later on at work or when they are in the store, then we can pull that record and understand what we’ve talked about and continue the discussion all along. So what we can tell is that when you are visiting a website, we can tell some of the patterns and some of the behaviours that you have on the website by moving to different pages, by looking at different products, at different content. When you start adding things into your shopping cart, we can help you through the process, we are monitoring the traffic, the behaviour of the consumer on that site once they start to engage with a chat agent that is available on the site. Kunle:	There’s obviously some guided automation when consumers are browsing websites, but we’ll get to that in the second segment of the show. No, a lot of our listeners are pure play etailers, they’re ambitious. Who would’ve thought Warby Parker, for instance, who started online would have physical stores? Some people are ambitious and they don’t know where growth is going to take them to. They might actually see themselves in a number of years opening physical stores to deliver a more superior experience or get a more engaging relationship with their customers. But for the vast majority of listeners, who are pure play online retailers, how can they benefit from omni-channel online marketing as an experience? George:	They can benefit a lot from it because even for a pure play retailer, the consumer is still moving across channels. They go from a desktop to mobile, then they look at an ad on TV, they may read a newspaper and they want to look at that consistent messaging that comes across, and a consistent engagement. So imagine if you’re watching TV and you see and ad for a product, and today we see more and more of that when you see some of those new ads coming out, you notice on the bottom they will say “Shazam for more information”. That’s the way to do it. Now you Shazam that ad, you click and automatically you provide it with an option to get some more information about the product or potentially connect with a live chat agent that can help provide you with more information. All of a sudden we’ve taken that media, coming from TV, to translate this into a real engagement platform and that’s something that we are able to do today with our technology, with our platform that we have. In the same way that we can engage with you, whether you are on a desktop or a mobile device. The bottom line is that pure play online retailers have a lot to benefit from the omni-channel experience. Kunle:	Very good point you placed out there in terms of how device fluent shoppers are today and why you need that constant and unified experience. Interesting. This should take us into the concept of personalisation. A lot of online and general retailers are seeing a connection between delivering a more personalised experience to shoppers and conversions. The more personalised the experience is, the more I feel affinity with whatever brand I’m engaging with. How do you sort of marry personalisation and the omni-channel solutions, and omni-channel in general in today’s world? George:	I think a good question would probably be “what’s the difference between targeting and personalisation?”. Let me address that. When it comes to ecommerce, targeting refers to communicating a message to a specific population that you have identified as an appropriate audience for your campaign. For example based on age group, geolocation, certain demographics etc. Personalisation refers to communicating messages based on personal details off the individual consumer. So if I know that you are a male between the age of 30-40 and have been to a site before looking for clothing items or looking for a particular items from an industry such as electronics etc, then I can personalise my message back to you from that perspective and personalisation usually yields better results as you are doing much deeper targeting in this case rather than general targeting. 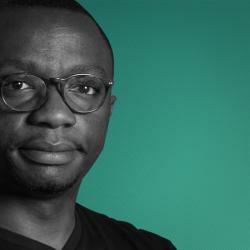 Kunle:	I guess with the emergence of Facebook, are brands tapping into the data they get from Facebook in personalisation to help out with the personalisation campaigns? George:	It does, and I always chuckle on this one because there’s certainly a big debate going on whether Facebook is collecting too much personal information about you as a user, and remember that at the end of the day, it’s for you to opt-in into all of this, you have an option not to opt-in and they won’t have any of your information. Today, the big brands are very cautious on how much of this information they want to extract to target you or do any personalisation because they don’t want to be on the wrong side of the pond at this point. So they want you to opt-in into certain elements and they would know you better if you are one of their premier customers, in that case you have an online account established with them already where you’ve told them about your profile and you’ve entered information on the profile. So my advice is always: enter your personal information or profile on the brand’s own site versus having to get them to guess about you from a third party site because you don’t know who else has this information and it’s not appropriate for what they want to serve you. Kunle:	It makes a lot of sense and you’re prone to less error because the customers have actually entered it themselves, within your site. How should retailers go about ethically acquiring customer details? Online, you pretty much ask for it and if they don’t give it, it’s business as usual, you move on, but at a point of sale in retail, how can retailers get details, especially for first-time buyers experiencing their stores for the first time? George:	Of course, “Big Brother” watching is certainly always a dangerous proposition, so in this case, the consumers want to be helped when they are ready. If you give them the ability to connect to a chat agent or a live sales person, on a desktop, a smartphone or in a store, it’s a great way to accomplish this whether they are opting-in, as we talked about. When they come to the store, there are a lot of great ways to do that and get them to engage. One of the solutions that we launched last August called TouchStore is a great solution for that and it’s initiated by the user whereby they are using either a QR code or a text. They can engage directly with a chat agent and start a conversation while they are in the store. The nice thing about it, and we can talk more about that store if needed, if you use QR code today, in a store, placed on product shelves or on a particular product by itself, then we, as a manufacturer, know where you’re coming from because we can embed a geolocation in the QR code. So we don’t need you to be turning on your phone for an ID or anything like that. Once you scan the QR code and you send it in, we can determine where you’re coming from, what product you’re looking at, and we can start engaging with you very efficiently on that particular product which you have question about. Kunle:	You talks about location getting fed back into the QR code software, what else can you get from a QR code? When I, as a customer/shopper, want to get an offer, want to find out more about a certain category or range of product while I’m shopping in store and I being out my phone to scan that QR code, can you get my phone number or is it just my location that you can get? George:	No, because the QR code allows you to embed. Remember, these QR codes are already predetermined, they are already places on the location and there’s a variety of parameters that you can embed in a QR code. The most useful one that we are working with and we use is the location where that QR code is placed, which tells us where you are because you’re going to scan it in that particular location, the product associated with that QR code, if we put that QR code on an aisle, let’s say, then I know that you’re going to be visiting the smart TV aisle, so you’re calling me from there, I know you are looking at smart TVs and I’m going to start a conversation with you. “I see that you are looking at smart TVs, what are your main criteria for selecting one?”. All of a sudden, I engage in a smarter conversation with you. The third element is the particular product itself. As you see today, some products in the market have QR codes attached to them directly, either when you buy them or on the box itself etc. In that case, we know exactly the product that you’re looking at and that becomes a more personalised experience and discussion depending on the product that you’re looking at and that’s very effective. Kunle:	What are your thoughts on showrooming? For our listeners that don’t know much about showrooming, it’s testing a product in a store and buying it cheaper online. I could be in Staples, for instance, and be looking at printer and I could just go and buy it off of Amazon or price check right there in the store. What are your thoughts on showrooming? How can it be tackled from an omni-channel standpoint? George:	Let me start by saying that both showrooming and webrooming, which is the reverse of showrooming, are facts of life and I think that unfortunately, a few retailers were combatting showrooming a few years ago and then they realised that “we need to embrace this and leverage it to our benefit”. That’s why we’re seeing more and more retailers offering free WiFi in their stores. You ask yourself, why are they doing that? Why do they want to have people look at prices that are somewhere else? One, they know that the consumer is very informative and very smart, so whether you give them free WiFi or not, they’re going to use their own network to do it. If I give them the free WiFi, then at least I can capture them as a starting point on my own website as a retailer and give them more information on the website, and as a matter of fact, determine their intent to purchase. This is why, when you engage with our chat agent and you are in the store and we see that you are prone to buying a product but you are price sensitive, then the chat agent themselves may say “I see that you are looking for a product, let me find out if I have an offer for you that could be an incentive for you to buy the product”. If they find an offer, we can then transmit that offer directly to the consumer on their smartphone via our technology, it will be translated in the form of a coupon that you can use when you checkout at the counter for the discount, that’s going to be the incentive for you to buy the product. Kunle:	This is on the basis that, while they are in store, in the user case, they’re going into the Staples website, but a lot of people, while they are in Staples are hopping over to Google or to Amazon or Ebay to look for alternatives. How will it be triggered while they are in store in terms of a call centre representative to actually contact them while they’re in store while they’re browsing? George:	This is what the premier software, our TouchStore solution is all about. Imagine you’re in a store, Staples for example, and you’re looking for a product as you said, and you have a QR code or a simple text placed in front of the item that you’re looking at that says “scan this for a better offer”, or “scan this for more information”. I think that the first intent of what you want to do is scan the QR code and that will connect you directly to a chat agent that you can talk to in regards to the product and answer all the questions that you have and, as I mentioned, if one of the questions is about price sensitivity, then we can see this and we may be able to offer you a discounted price or an offer. At the end of the day, no one’s going to stop a consumer from leaving the store to buy somewhere else. What we can do best is represent the brand correctly and give them the best answer to what they’re looking for and the best price. We believe in our experience by engaging with the consumer right at the point of purchase when in the store, then we’re already making headway to gain their confidence and get them to convert right there. That’s what the product is all about. Kunle:	I really like what you said in terms of providing the best answers to consumers and delivering the best experience. Thanks for answering that. The key is that you offer them a bait through the QR code and they scan the QR code, then the engagement can commence. George:	Yes. I wouldn’t call it a bait, I would call it a really proactive help because at the end of the day, you walk into the store, let’s say the store is very busy and you’re looking for a sales person but you can’t find anyone to help you, what do you do? You could walk out of the store. Instead of doing that, if you can scan the QR code and connect to someone who can help you online while you are chatting with them on your smartphone, then it’s a great benefit. It’s not just about the product but also about the operation and efficiency of the store expanding your sales personnel to support folks who otherwise cannot find help around. Another scenario could be where you have deep technical questions about a particular product and the person in the store cannot answer that but they have a person that works at the same organisation, who’s available online and who’s more detail oriented, it could be level 2 support. Imagine if they were to put you in touch with this support, all of a sudden you get the answer to your question while you are there in the store, without leaving. Kunle:	Final question in this segment of the show, it’s got to do with text messaging. There’s been an emergence of PP on SMS, almost every carrier gives SMS free, just down to the emergence of Facebook Messenger, Whatsapp and a plethora of many other messaging tools. Facebook just released a solution for Facebook Messenger for ecommerce. My question has to do with how text messaging actually fits into the omni-channel experience? George:	I’m probably going to refer to the same solution that we have, which is the base of other solutions as well. Again, being in a store or looking at an ad on a piece of paper, the engagement platform could be initiated by an SMS. You text the SMS to a certain number, we reply back to you with a text and a URL that you click on and you are connected directly to a chat agent and you start the engagement platform. So SMS is a great method to deploy great omni-channel solutions in particular. Kunle:	Right. This is the second segment of the show where George will be talking more about TouchCommerce. George, the question I have is does TouchCommerce just provide just technology or do you also provide consultancy on how best to optimise the omni-channel experience for your customers? George:	Great question. We’re very unique in our aces and different to all other companies out there in that we provide a mix of technology, solutions and professional services. We certainly don’t have an out-of-the-box solution that we give you and that you implement on your own. That doesn’t work. We want to understand your business, we want to understand what you’re trying to accomplish, we want to work with you on the metrics that make you successful and then we’ll engage with you, with our technology and our professional team to analyse what you are trying to accomplish, looking at the traffic on the website, looking at the volumes, looking at what the folks are stumbling, and put the solutions in place. And we continue to monitor this throughout and make improvements as we go through it. We’ve got a lot of examples of how we’ve done this very successfully with a lot of customers in the Fortune 1000 space, the enterprise customers that we work with. Great examples of these customers are on our website at TouchCommerce.com/clients. You can see the variety of clients that we work with. Kunle:	Very interesting. Very custom omni-channel solutions. What data points does TouchCommerce actually make use of to deliver a personalised shopping experience to shoppers? George:	Analytics and business rules really are at the core of what we do and we certainly call them big data analytics for us. They help our clients understand the customer intent. We use many data points in designing the engagement platform and the engagement products that are relevant and personalised and delivering results at the end of the day. We look at many attributes for rules and providing skill-based routing and user profiling. Things that we look at, for example, are which page or content area is being viewed, how long the consumer stays on a page or on a site, where they’ve come from before, how big is the value that they put in the cart. Say for example, you are on a site and you sell items averaging £50 and someone is putting £200 in the cart, then we know that you’re a valuable customer and we’re going to initiate that engagement with you to help you close the transaction, that’s important. We have probably 40-50 parameters that are triggered via different sets and our customers determine which of these trigger sets they want to start the engagement process with the consumer when they look at the online site. Kunle:	It’s very interesting because this has given me a really interesting rounded view on omni-channel. When you’re looking at omni-channel, you’re looking at various segments. One is customer engagement, which TouchCommerce does. Next is omni-channel marketing which is having a unified experience across the board for various marketing channels, be it marketplaces or social media, it gets in that omni-channel experience and offline media. Also post-sales, in terms of logistics, honing everything in. You guys are at the fore where it’s largely customer engagements. Am I correct? Am I missing anything or am I spot on? George:	I think you pretty much have a good description. We care about customer engagement it’s really what we focus on. We also focus on delivering results for our partners that we work with. It’s not only about the engagement, but also about the results. The results don’t always have to be about Dollar value. The results can be in satisfaction rating. We also strive that the customer at the end of the day can speak of their experience, and that’s why we give them a survey when they exit the chat and we want them to be happy with the experience whether they are looking to buy a product or ask about their account, account management and care. So our business is both about increasing conversions and also reducing support cost because you don’t want to pick up the phone and call for support and stay on hold for half an hour to answer a quick question when you can chat with an agent and get the answer to your question imminently. Kunle:	Interesting. What about mobile delivery? While browsing your website I realised that it’s quite core to TouchCommerce’s value proposition (VP). Why is mobile delivery so important to TouchCommerce? George:	It is. Two years ago, we made a concerted effort across the company to go mobile and we need to make sure that when the consumers are starting to shift, their buying and browsing habits from a desktop to mobile, when we talk about mobile for us it means both smartphones and tablets, we’ve found that mobile plays a huge role today, the consumer is not thinking about what specific channels they’re engaging with at any given time. For them omni-channel engagement is all about this and they expect a consistent and personalised engagement experience across the environment that they’re coming from, regardless of which platform they are using and whether they could be online or offline, meaning on the web or off the web, and different aspects of it. The interesting part is that, unlike other companies, we optimise the mobile experience, because with mobile you’ve got different platforms, you’ve got different screen sizes, you’ve got different operating systems. You have to be really smart about what you are serving the consumer and what is important to them versus just bombarding them with info that may not be relevant. You have a small screen and you have a shorter attention span, so you have to be really succinct, clear in your messages and provide them, sometimes, with pushover. Rather than entering text on mobile, we’ve got what we call Touch Taps where you can press the answer by just pushing the screen with the answer you’re providing. That is more fascinating than providing an answer via text. Kunle:	One question. It’s got to do with if you offer surveys, whether you have a pop-up/widget that asks questions for qualitative data and experience, like a customer survey. Do you offer any solutions similar to that to enterprise clients? George:	Yes, we do that, but we do it as part of our platform. We don’t just do a survey. A survey, for us, has to come after the initial engagement. The engagement could be that you do self-service guides, so you go on a site and look for it, or a chat, and the survey is optional at the end of the platform and it helps us determine whether we were able to help answer the question that you were looking for and what other information was missing. What we do is we take the elements of the survey, which are very important to us, because it goes back to our analytics, and we’ve got a whole section on analytics and touch surveys on our website that you can look at. It’s important that we take this histogram of this data and we translate it into actionable results. I’ll give you an example. Recently, when Apple introduced the Iphone 6, one of our carriers had an upgrade plan for the customers but that upgrade plan was not prominently displayed on the front page, it was after 2-3 hits on the page, after you go through it and consumers were frustrated looking for the information, some of them were even quitting before going to that third page. The survey told us quickly that we need to take action and do something with this and effectively, by working with our partner, Telco, we were able to escalate this and move this information up to the front page. We wouldn’t have known this if we didn’t have a survey to inform us of this information and act on the results of the survey directly. Kunle:	Ok. Just to wrap up, who are your retail clients? George:	Currently, we have quite a few that we are working with, but the one that we have in the UK, for example, are Dixons , Carphone Warehouse, we also have brands such as Panasonic, E-Harmony, TotalGym, there are quite a few of them listed on our website, plus some other case studies that I would encourage your listeners to look at. The last one that I want to mention is I’ve talked a few instances about TouchStore, there’s a great video as well on the site that explains the use case for TouchStore and you can see how the QR code and the SMS texting works in this environment and how a consumer can engage with the brand directly by using TouchStore in a retail environment. Kunle:	Sounds good. George, thank you so much for being part of the show. Our guests would have learnt masses of data and information about omni-channel from you, and learnt about TouchCommerce. Thank you so much for coming on the show. George:	Thank you. I appreciate the opportunity.